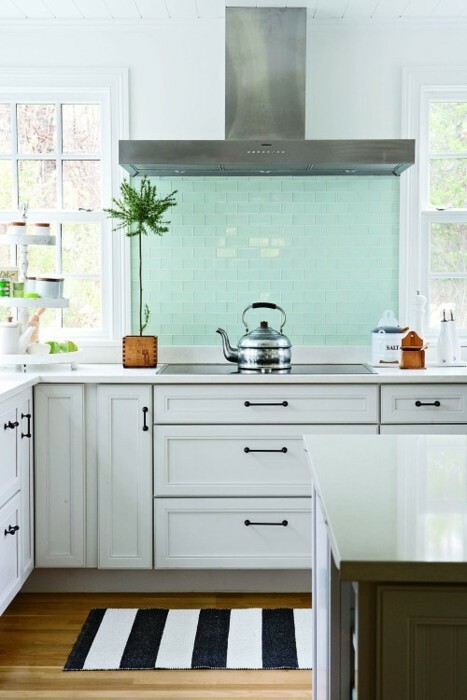 As of late, I'm loving hits of turquoise in kitchens! 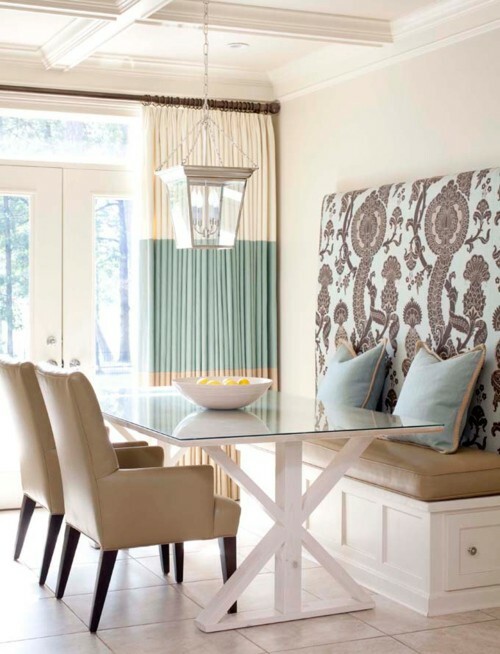 Especially when paired with clean white spaces, and found in unexpected places (like the curtains below). I love turquoise everywhere. Great kitchens!! I really like turquoise. I find a light aqua color so soothing; unfortunately, my husband isn't a fan. I love that second set up. so beautiful! I love the second kitchen. Do you know If the second kitchen table is available anywhere to buy?